Adobe Systems Incorporated, one of the world’s largest creators of multimedia and creativity software products has unveiled its latest digital viewer technology for magazines. The first application released using this technology is the revolutionary WIRED Reader app for the Apple iPad. WIRED magazine’s first ever digital publication for the Apple iPad, now available at the app store is made using Adobe’s digital viewer software. Adobe’s digital viewer software empowers authors to create the liveliest content with readers experiencing video content, slide-shows, 360 degree images and the ability to rotate content in vertical and horizontal modes. Also, the digital viewer technology used by the WIRED Reader enables it to use tablet form factor to its advantage allowing users to explore magazine content using touch gestures, including a zoomed-out browse mode, to see the content of the issue at a glance. The resulting experience is of reading a magazine with the dynamic interactivity available in digital media. Furthermore, the viewer technology delivers its new interactive features to advertisements. Users can now interact with each advertisement. Advertisements integrate into the content seamlessly while keeping the reading experience intact. This innovative viewer technology promises to revolutionize advertising inventory as well as increased revenues. With the release of WIRED Reader, Adobe has showcased the capabilities of its Creative Suite 5 and Omniture, which form the core of its Digital Publishing Platform. With this platform, publishers can now cost effectively author, produce, and distribute groundbreaking content to the broadest possible audience on a wide variety of digital devices. 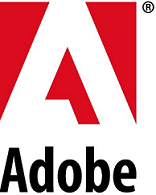 Adobe also has planned a release for this digital viewer software on Adobe Labs which will help publishers develop more digital publishing applications.